The simple way to attach leaders to fly-lines. 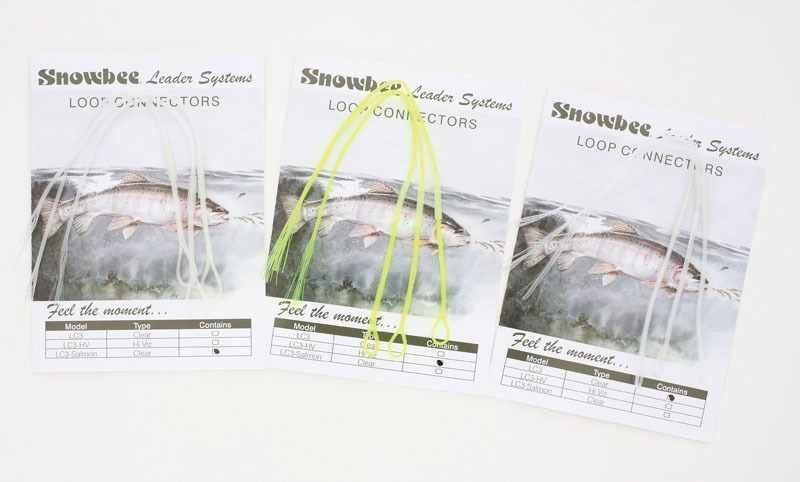 Pack contains 3 finished loops, with silicone tubing, ready to attach direct to your fly-line. Very easy to fit. Snowbee's new design features un-glued splices, which makes them softer & more pliable, avoiding those stiff glued sections, which cause hinge-points. Available in Clear, Hi Vis Yellow, Clear Lightweight for lines #6 or less or Salmon Clear.